Amazon recently launched “The Amazon Echo Show” – a $229 smart speaker with a 7-inch touchscreen. 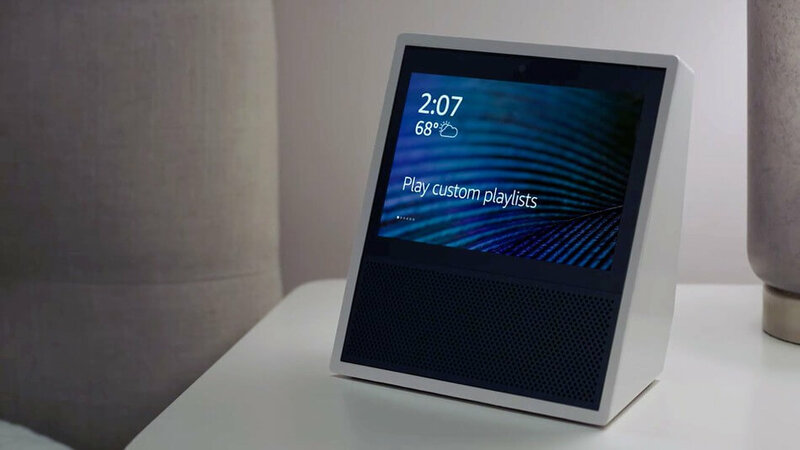 Powered by Alexa virtual assistant, Echo Show is controlled by voice commands, thus, letting you ask simple questions as well as check your schedule. In the first instance, the Echo Show seems to be a step backward. Wasn’t the purpose of Amazon Echo, which was launched in the year 2014, was to make people get their queries answered without having them to look at any screen? People appreciate Alexa for letting them control their music and check the weather without getting distracted from their task by any screen. But there is a misguided line of thinking. People need to understand that this is Amazon’s slow yet steady approach to conquer very room in your abode. It is basically positioning Amazon to dominate whatever comes after the eventual death of smartphones. How Amazon Echo Show and Amazon Echo are Different? Released in the year 2014, Amazon Echo is a tall, cylindrical smart speaker with a built-in microphone. The USP of the gadget is Alexa digital assistant which can be controlled using user’s voice. The Amazon Echo Show, on the other hand, was announced on May 9, 2017. The gadget features its own built-in touchscreen, and it is also capable of offering slightly more usability that Amazon Echo, for instance, video calling. Everyone highly appreciated Amazon Echo design. It has slim cylindrical shape with versatile black/white color options. It stands elegantly at 235mm with a thickness of just 83.5mm. Though it weighs 1.045kg, but it surely weighs far less than your average laptop. Amazon Echo Show is quite bigger measuring 187x187x90mm. It is also a bit heavier as compared to Amazon Echo. Though it’s weight is not a concern for there is hardly any need to move it much. The Amazon Echo Show is significantly bigger, measuring 187 x 187 x 90mm. That means you’ll have to be much more careful about where you place the Echo Show in your home, as it could overwhelm a shelf or sideboard. Amazon Echo has a seven-microphone array built into the cylindrical chassis. On the other hand, Echo Show boasts of eight microphone array. Also, both the devices have two speakers. The Amazon Echo has a 2.5-inch woofer and 2-inch tweeter. The Amazon Echo Show has dual 2-inch stereo speakers. Amazon Echo Show also boasts of a touchscreen and 5-megapixel camera. The retail price of Amazon Echo in the UK is £149.99, while in the USA it is $149.99. Amazon Echo Show is currently not listed on Amazon UK, but in the USA it can be pre-ordered at $229.99, with shipping expected to commence from June 28, 2017.